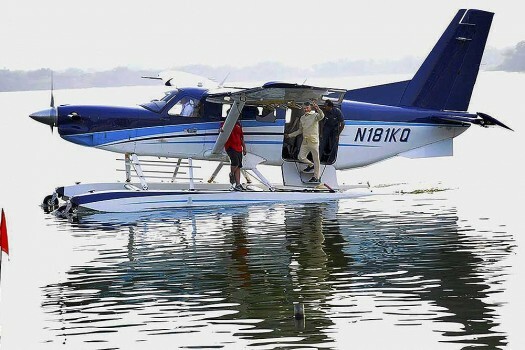 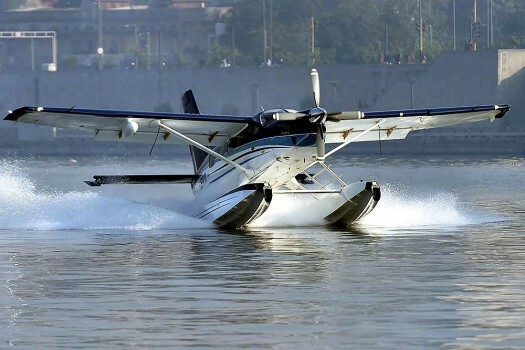 Andhra Pradesh Chief Minister N Chandrababu Naidu's test flight of the amphibian aircraft took off at Krishna River's Punnami Ghat in Vijayawada. 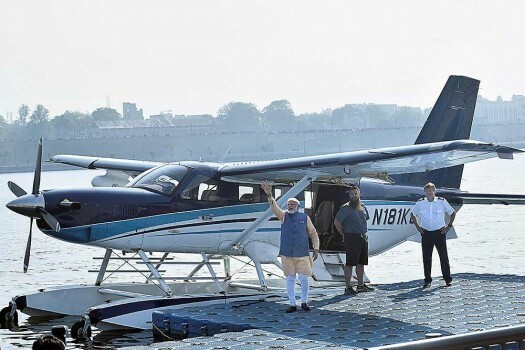 Prime Minister Narendra Modi waves from a sea-plane in the Sabarmati river in Ahmadabad. 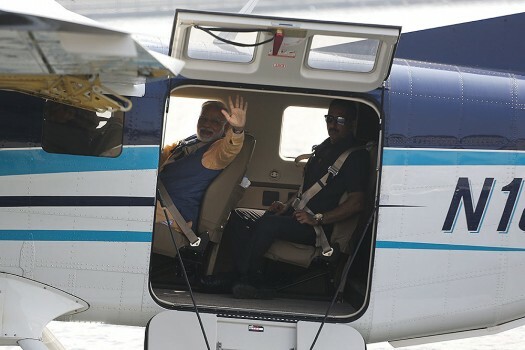 The second phase of Gujarat assembly election will be held on Dec. 14. 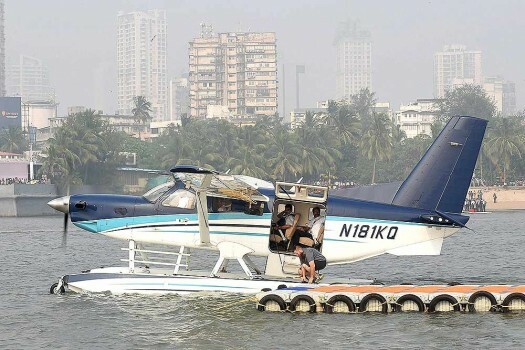 A sea plane seen at the Girgaon Chowpatty in Mumbai. 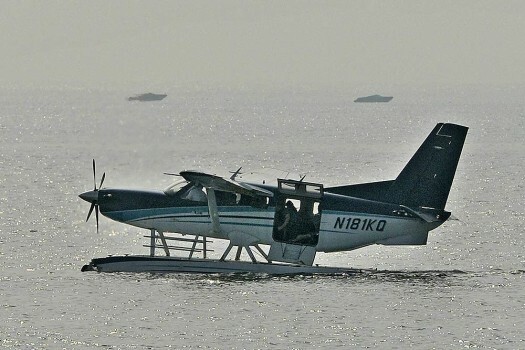 A seaplane, with Prime Minister Narendra Modi onboard, takes off for Dharoai Dam from the Sabarmati river-front in Ahmedabad. 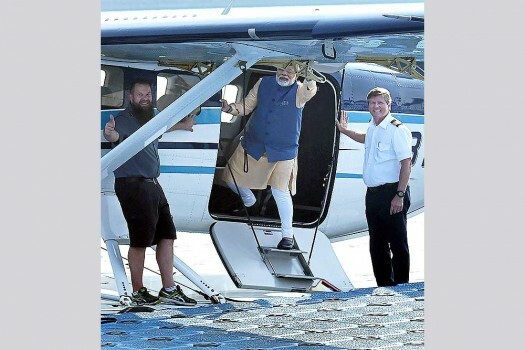 Prime Minister Narendra Modi waves to the crowd as he boards a seaplane on the Sabarmati river front in Ahmedabad. 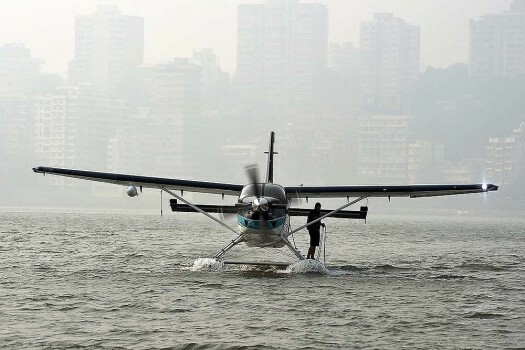 Seaplane Quest Aircraft lands off the coast of Mumbai in a fog affected skyline during a demonstration flight by Spice Jet.